Additional instruction and supports for struggling readers. Additionally, the Governor indicated that he remains committed to a strong, meaningful system of educator evaluation and support by maintaining the $14.8 million investment that he first proposed for the current funding year. 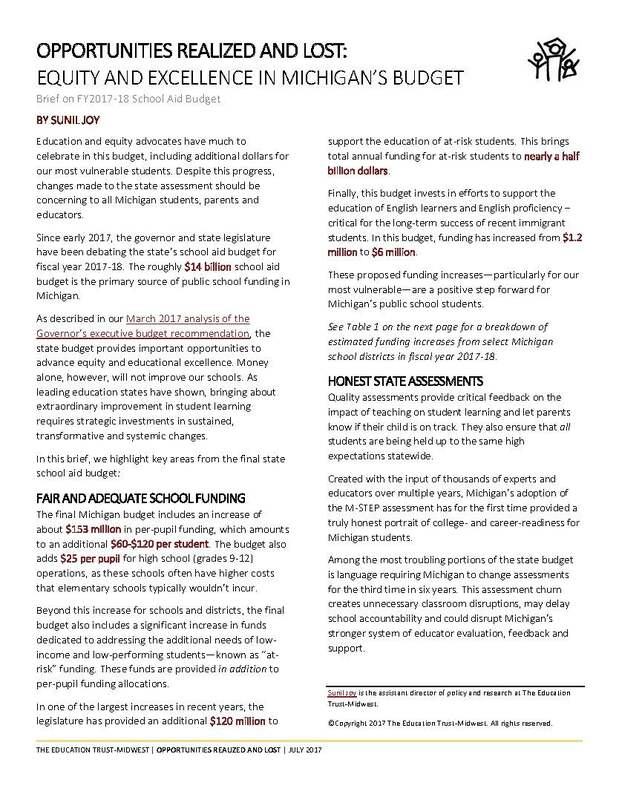 An increase of $100 million for at-risk students and a $75 per pupil increase is also included in the Governor’s proposal. A new report from Business Leaders for Michigan focuses on the difference that postsecondary education for our economy. Read “Business Leaders’ Insights: How Higher Education Can Help Michigan Become a Top Ten State” here.